What could be more perfect for summer than a sweet print? Here, you'll find plenty of pretty essentials for your little one from Baby Nay. 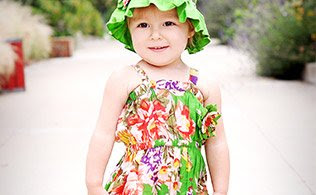 A darling floral romper here, a heart print kimono top and legging set there, these machine washable must-haves will keep her cool and looking picture perfect no matter how high the temperature climbs.